Kodi and Plex both let you stream videos and music to your TV and devices, but they are very different applications. You might decide the only solution is to be able to use both. The official Plex Kodi addon lets you access your Plex server through the internet as usual, effectively combining the two services. If you need to be able to get to Plex content from Kodi, here’s how to do it. 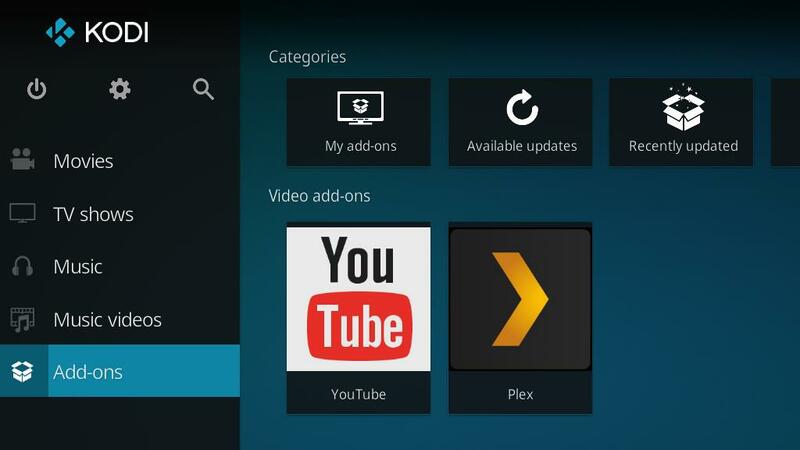 1 What are Kodi and Plex? 2.0.1 If you’re interested in IPVanish, Comparitech readers get 60% off. 3 Why run Plex on Kodi? 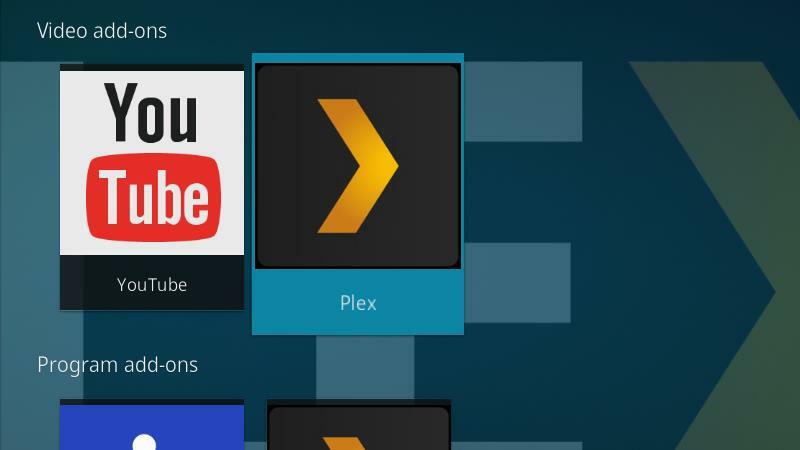 What are Kodi and Plex? 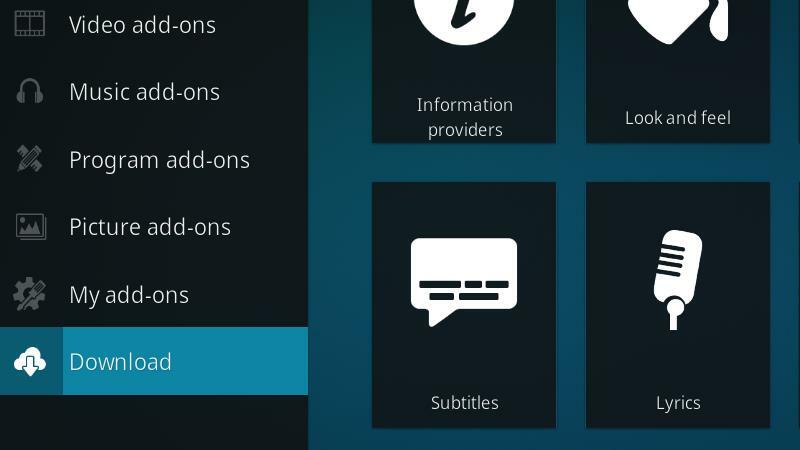 Kodi is a media manager that’s built to run on your TV. 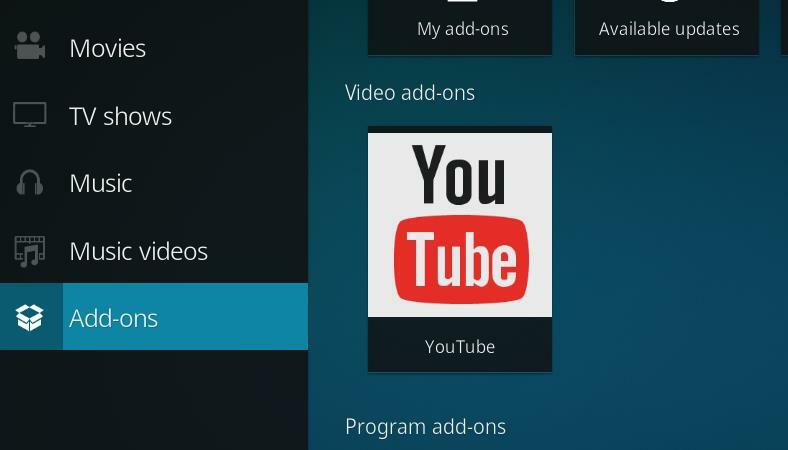 It lets you watch content you’ve downloaded, or stream shows, music, and movies from the web using addons. Kodi is known for its flexibility and easy customization. 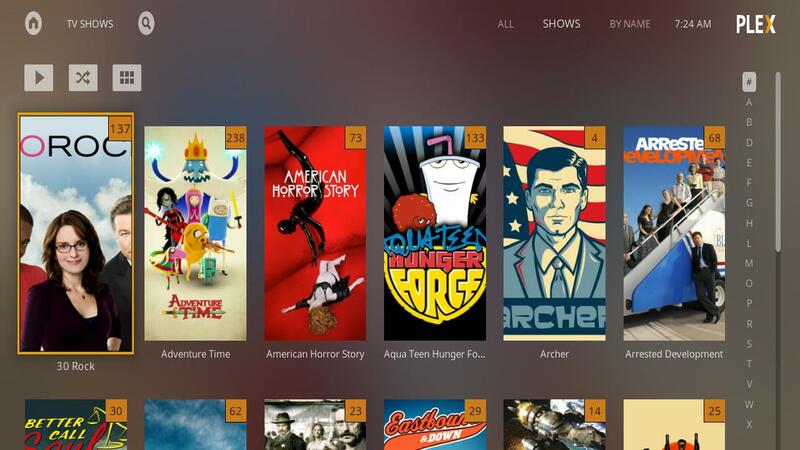 Plex is a streaming media server that lets you watch and listen to the content you’ve downloaded. It has clients for phones, smart TVs, streaming devices, and even Kodi itself. Plex is known for having a polished interface and tons of official online content. If you’re interested in home streaming, you could really benefit from using a VPN. Pirate streaming sites are infested with shady ads that can break your computer, or worse. Sometimes these sites are used to launch man-in-the-middle attacks, allowing hackers to collect your personal information from every site you visit. A VPN will encrypt your connection to the web, and the right VPN will stop man-in-the-middle attacks. We tried just about every VPN around, and recommend IPVanish. The biggest drawback of a VPN is that it can slow your connection down. IPVanish has servers in major cities across the world, so there’s always a fast connection available. We also appreciate that IPVanish doesn’t log anything about their users, and has never turned over customer information. If you’re interested in IPVanish, Comparitech readers get 60% off. Why run Plex on Kodi? The biggest advantage to running the Plex Kodi addon is not having to exit Kodi to watch content from your Plex library. Most devices will run both Kodi and Plex, but switching out of an app and starting another just to watch a show is frustrating, especially if you’re using a set-top box or mobile device. Plex and Kodi have different strengths and weaknesses. Plex’s mobile access is much better, for instance. 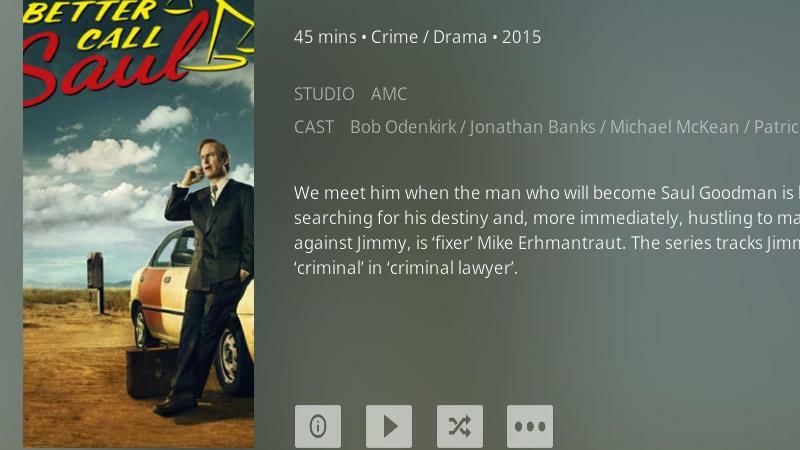 Combining both media streaming apps means you won’t have to choose one over the other. Before you begin, make sure you have a Plex server up and running. The Plex Kodi addon will work with any Plex server associated with your account. If it’s not on the same network as your Kodi device, make sure that remote access is enabled and configured properly. 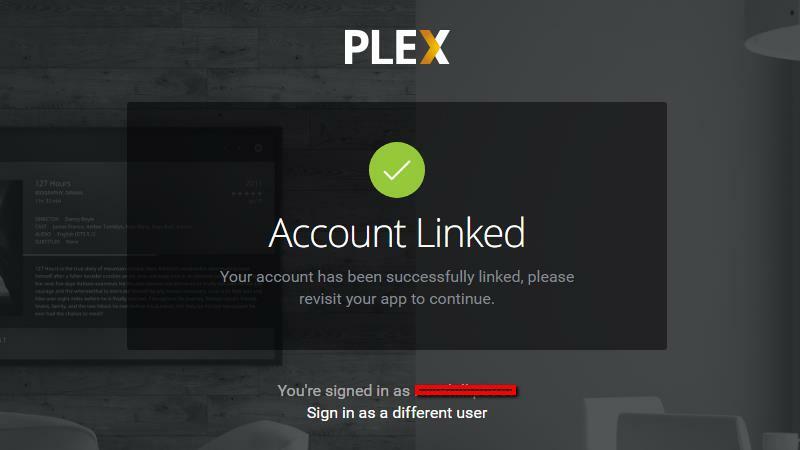 You do not need a premium Plex account; a free one works just as well. For more on how to install and set up a Plex server, read our beginner’s guide to Plex. Since the Plex Kodi addon is part of the main Kodi repository, it’s pretty easy to get the addon installed as long as you know where to look. Here’s how I did it. Start by opening Kodi and browsing to the Addons menu in the main screen. It will be at the bottom of the list on the left by default. Next click the Download menu item. Then scroll down and click the Video addons menu item to open the addons browser. 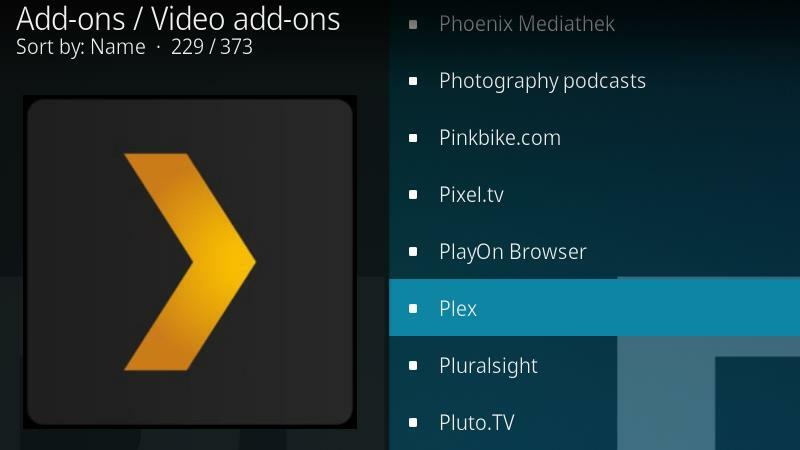 Scroll through the list of available video addons until you find the Plex menu item, and click it to open the install screen. Next, click the Install button in the lower-right corner. Now you’ll be taken back to the addon browser, and the Plex icon will change to show that the installation process has begun. 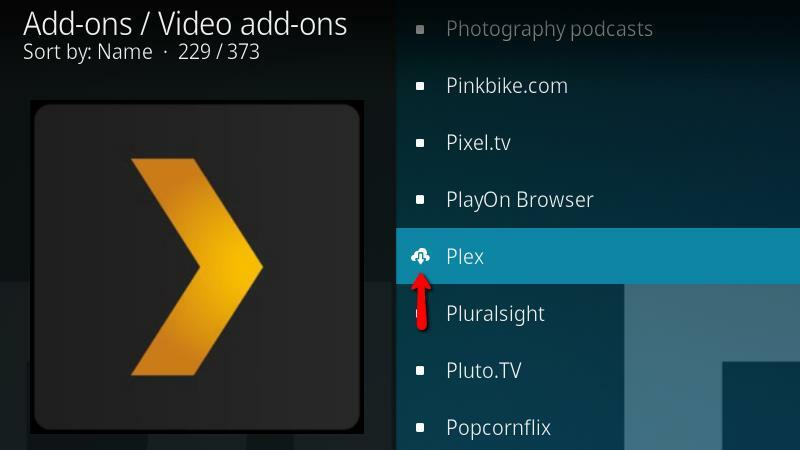 Then the Plex icon will change to a check when the installation has completed. When you’re finished, exit the addon browser and return to Kodi’s main screen in order to launch the Plex Kodi addon. Now you can launch the Plex Kodi addon from the Addons menu. The Plex Kodi addon needs just a bit of configuration before you can begin streaming the media on your Plex server to your Kodi device. 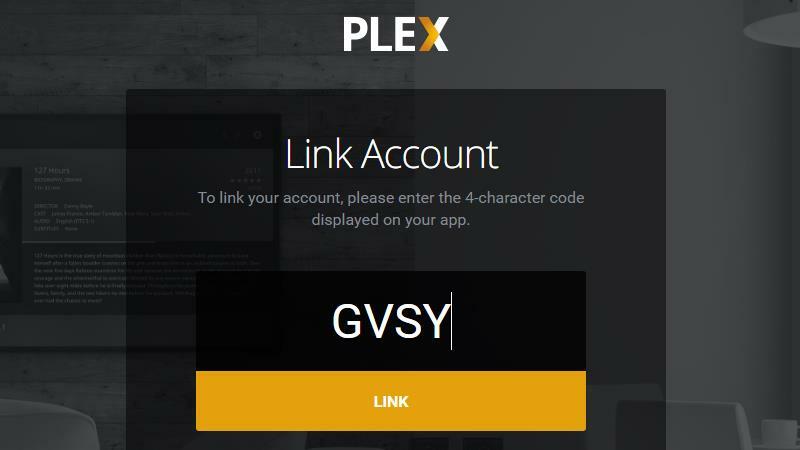 You’ll need to link your Plex account before you can browse your media libraries. Select the Plex Kodi addon from the Addons menu, then click it to launch the addon. 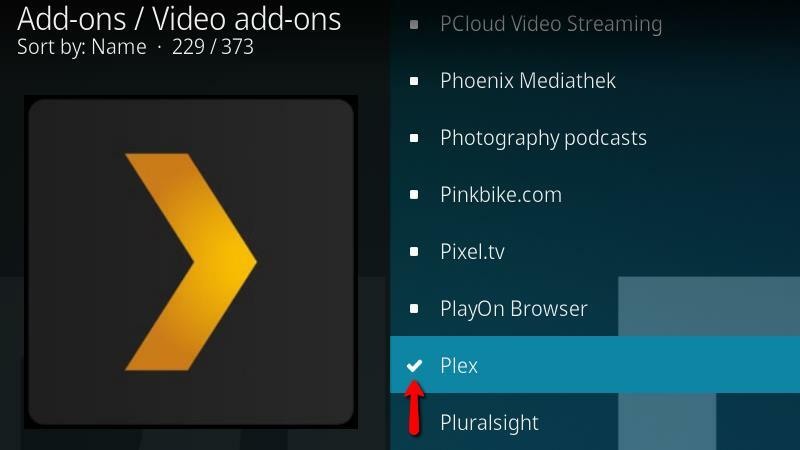 Next, click the Sign in button to begin associating your Plex account with this device. 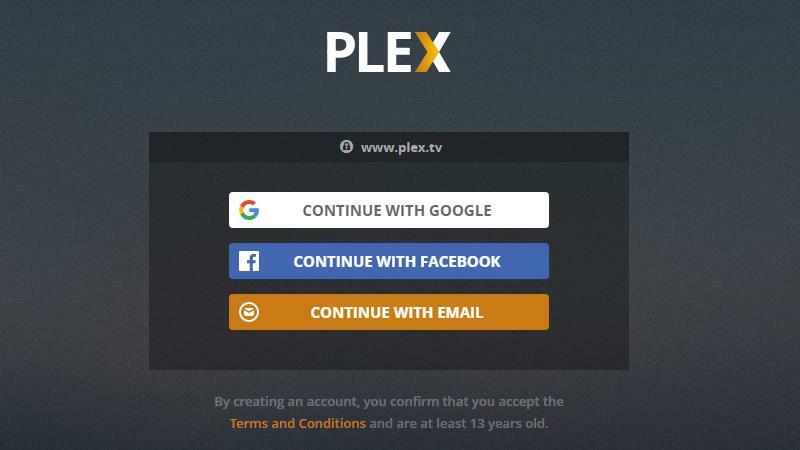 Take note of the code displayed on your screen, then open your browser and go to https://plex.tv/link. 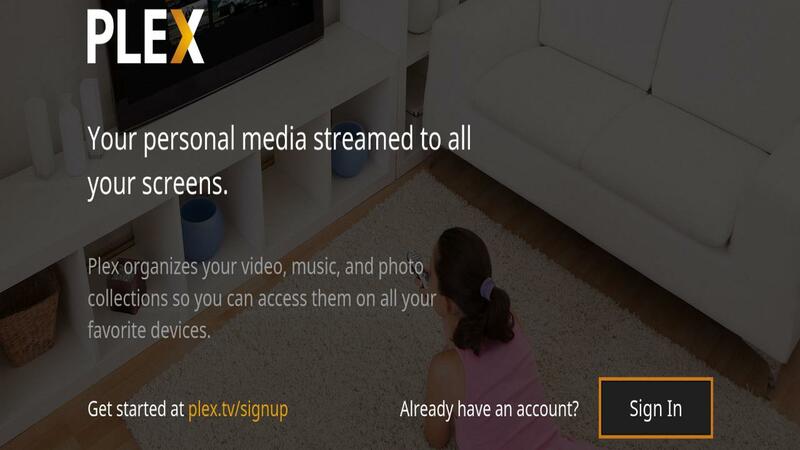 Next, log in to Plex however you prefer. Then type in the code you were given by the Plex Kodi addon and click the Link button to associate the device with your account. You’ll see a green check if your device has been associated correctly. 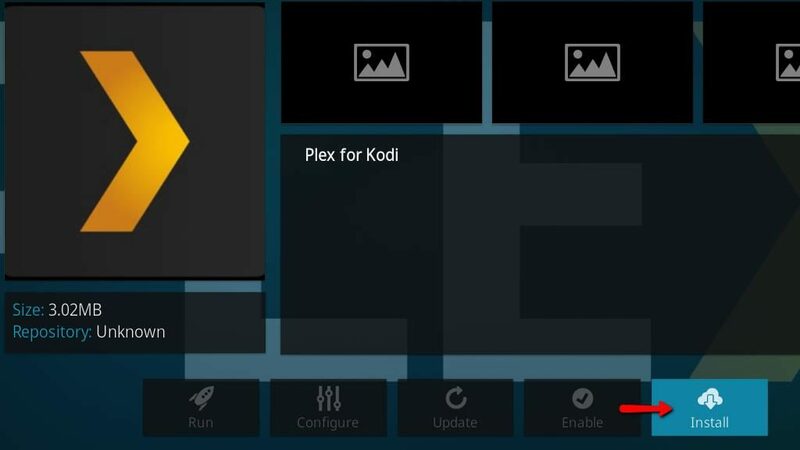 Now open Kodi and you’ll see your Plex content displayed on the screen. The addon is configured and ready to use. Streaming with the Plex Kodi addon is really easy. Plex’s library browser is very similar to Kodi’s. You can change the layout and shuffle your library, browse, and play content. 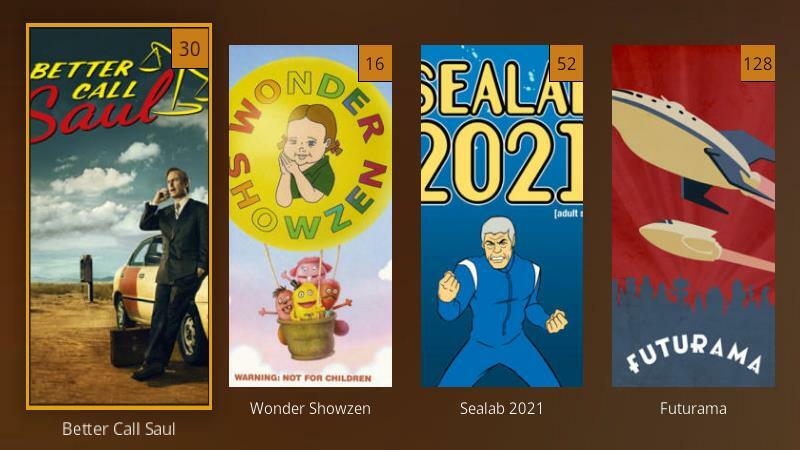 All of the Plex metadata and cover artwork displays properly. The Plex Kodi addon supports playlists, searching, and suggestions. 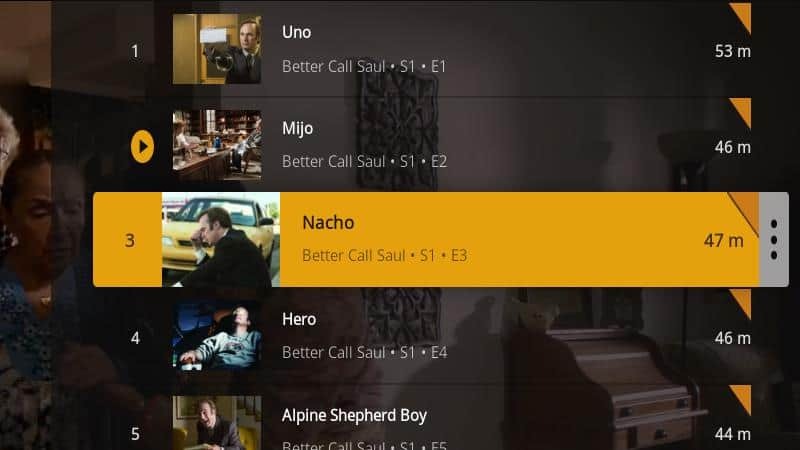 Now, click on a show with multiple seasons. 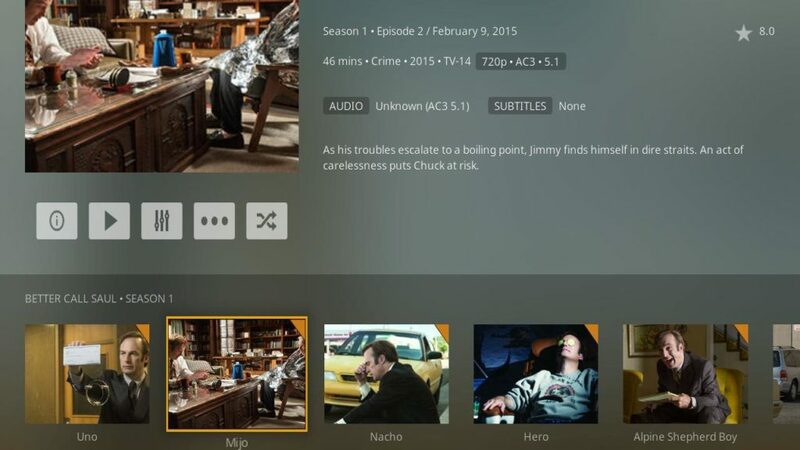 You can browse between seasons and episodes, complete with screenshots and summaries. The addon has a full video playback menu, and can shuffle or loop through a playlist. The Plex Kodi addon has an episode browser, and marks unwatched videos so it’s easy to find your place if you’re binging a show. 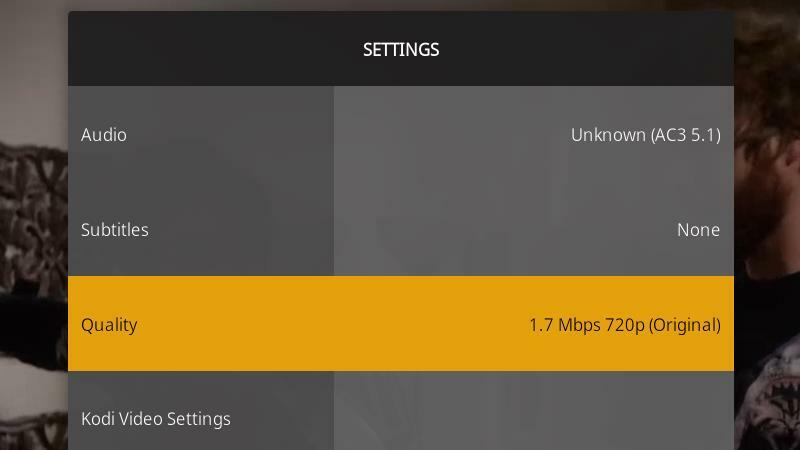 Plex’s settings menu pops up in place of Kodi’s if you open it during playback. 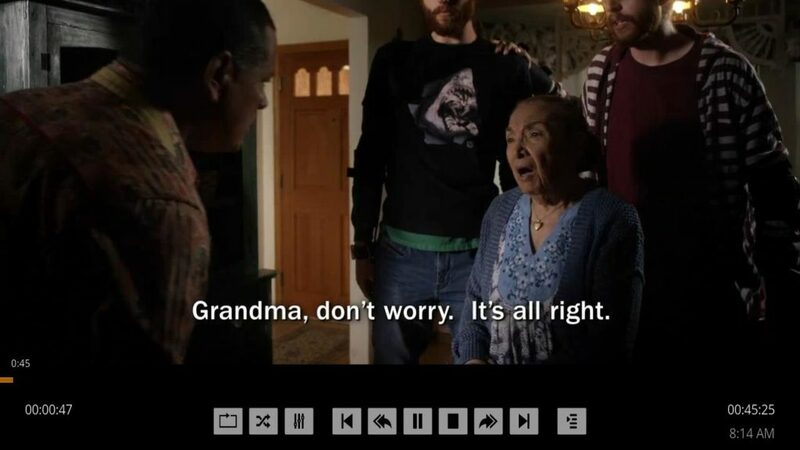 It’s easy to turn subtitles on and off. You can also manually adjust the Quality if your connection is poor, or confirm that you’re watching a video at its original resolution. 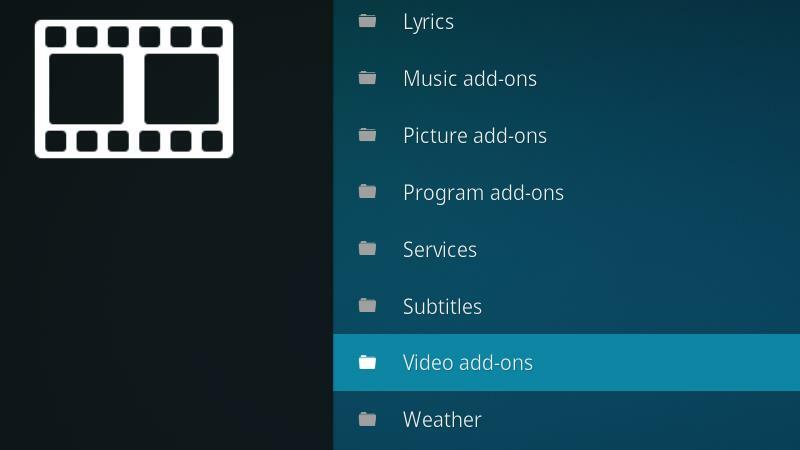 Kodi video settings displays Kodi’s standard video settings menu. Aside from a few small changes, watching videos with the Plex Kodi addon is just as easy as watching videos from your library in Kodi. The official Plex Kodi addon is really polished and simple to use. The Kodi addon activated just like any other mobile device, and you can manage it in Plex server just like any other client. If you need to be able to play your Plex libraries in Kodi, there’s no easier way to do it.